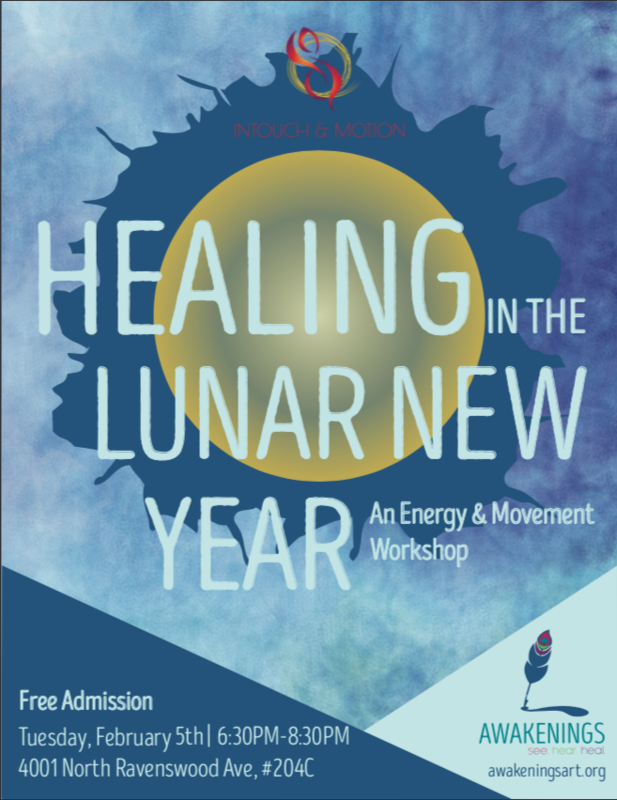 Join us and holistic life coach, Sabrina Washington, and dance/movement therapist, Amanda Mitchell, for an evening of self-reflection and growth over the Lunar New Year. Awakenings is proud to partner with InTouch & Motion to put on a movement workshop on February 5th from 6:30 to 8:30pm. Come and learn how the lunar cycles give us the ability to deepen self-reflection and self-care. All bodies and abilities are welcome!